Children with ADHD, ASD, and social thinking deficits often have little sense of how they are perceived by their peers. In the Lunch Buddies groups our mantra is “thinking about you, thinking about me, and thinking about you thinking about me”. We always want to keep others thinking good thoughts and feeling good feelings about us. 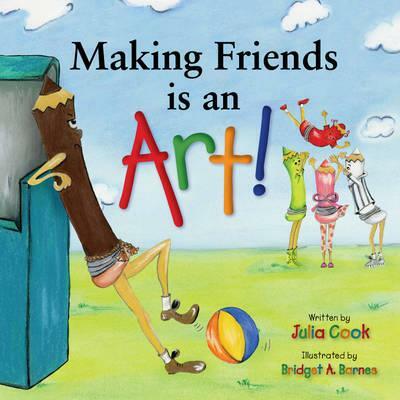 Here is one of the Ten Tips to Help Your Child Make and Keep Friends adapted from: It’s So Much Work to Be Your Friend by Richard Lavoie. Published by Simon and Schuster, NY,NY. follow rules: everyone has to do it this way, or it doesn’t work! I am a huge fan of Julia Cook. Her books are so helpful in our social skills groups. 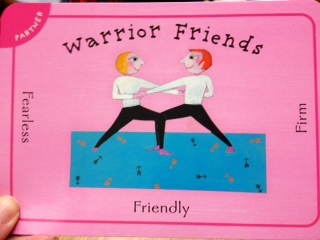 The recurring theme of this book is that “to have good friends, you need to be a good friend”. Brown feels like he doesn’t fit in. Each of the other crayons displays a positive friendship trait. Brown learns from the others that he has everything inside him that he needs to be a good friend. 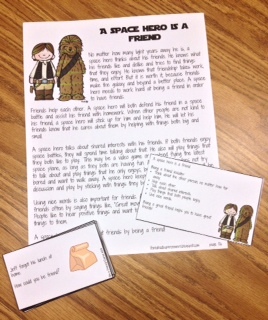 The boys love these space heroes! There is a social story, power card and a game. 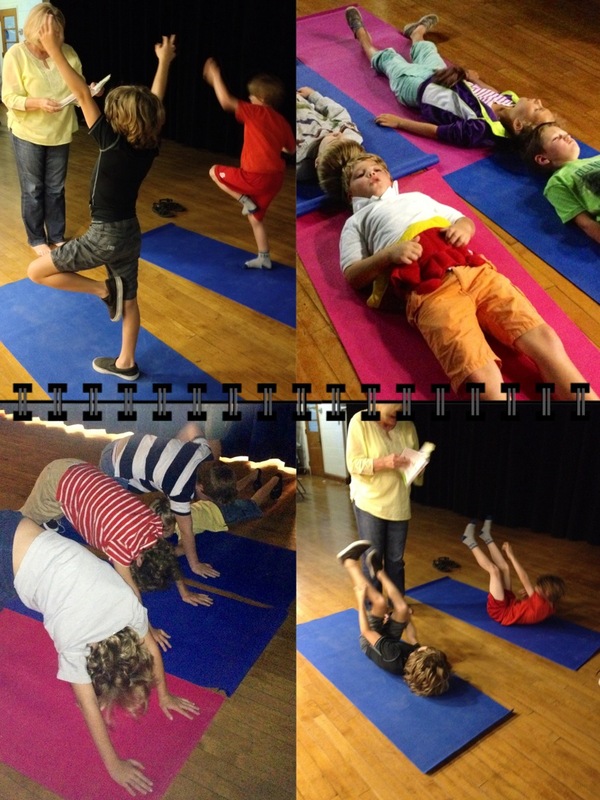 BTW, the story yoga adventure continued and we tried some group poses. Thanks, Mrs. Rairden. 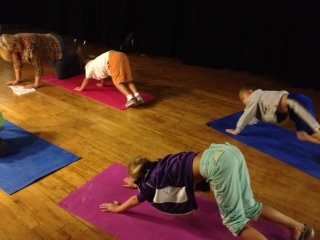 Yoga rocks! This co-teaching experience is forcing me and the resource teacher to view our students through a new lens. I thought I was a flexible thinker but Rock Brain invades our planning sessions sometimes. Stretching my brain can be a bit painful. I am learning a lot about what is expected of my students in general education classrooms. We decided that I would start Book Chat (with a book and a plan) on Fridays and the resource teacher would take it from there for the next week by continuing to use that book and the concepts. A visual reminder that we use our eyes, ears and brain to make smart guesses or predictions about what might happen and why. 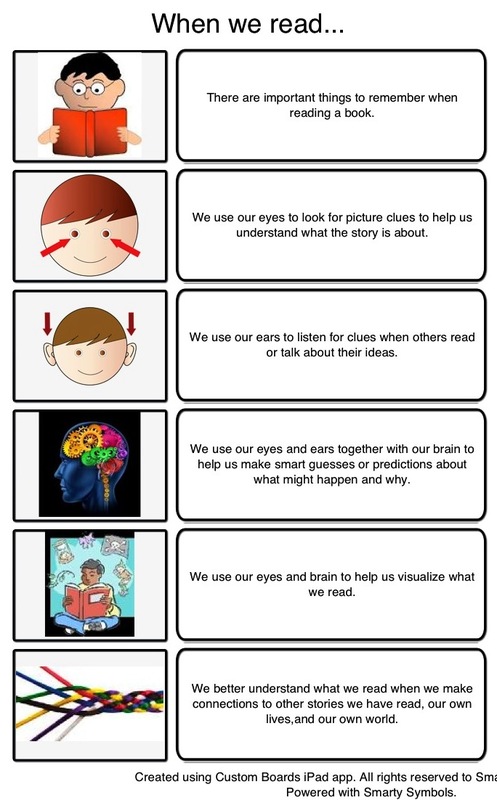 With our eyes we look for picture clues, with our ears we listen for clues when others read or talk about their ideas and with our brain and eyes we can visualize what we read. Our students struggle to make connections to other stories they have read and to their own lives. We are working to help them develop that skill. As they learned to create friend files they can learn to create files to store experiences from their time at school and with their families. Next, I read a social story about reading this book. I set the stage for thinking about what might happen. The boy in the story found a bird and wanted to keep her as a pet and thought of her as a friend. I made a connection between the story and my own pet, Nic the dog. In the social story I told of how Nic and I like to watch TV together and I think of him as my friend. 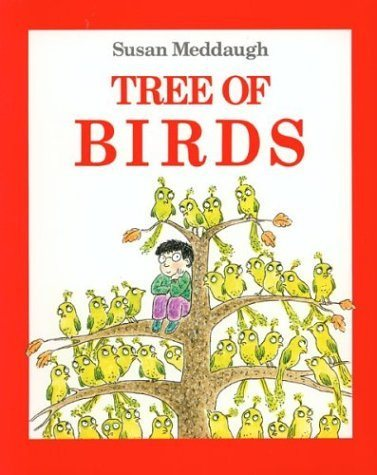 The students were very familiar with this book. Note to self: do not choose a book that they know and have memorized! I covered the words in order for the students to do a Picture Walk strategy. Oh boy! Because they already knew what the words were on each page they had difficulty thinking of any other words to describe what was going on. 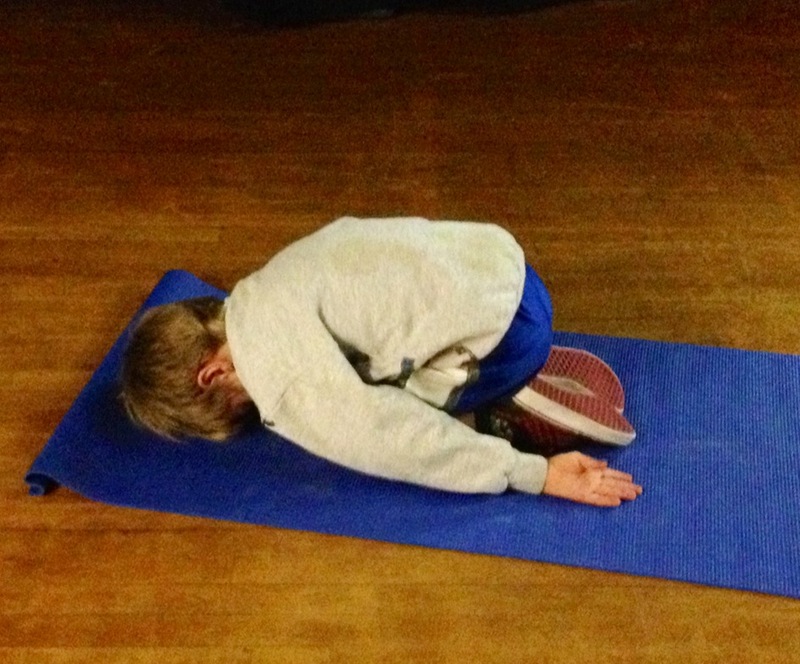 Some students were more flexible than others. One student kept asking “When are we going to read?”. The Picture Walk took up our whole 45 min. together. 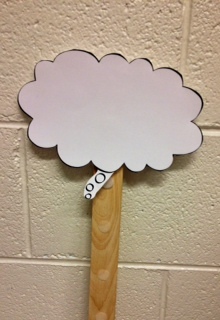 We used our “thought bubble” visual to help cue the students to think what the boy might be thinking and why. The session helped to set the stage for facilitating reading comprehension. During our planning session, the resource teacher and I review the past session before we plan for the new session. Learning a lot! I really like the Social Thinking® curriculum for preschool and early elementary. 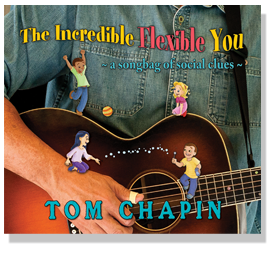 The Incredible Flexible You is just the best! Mrs. Lindstrom’s kindergarten class is doing quite well with it. 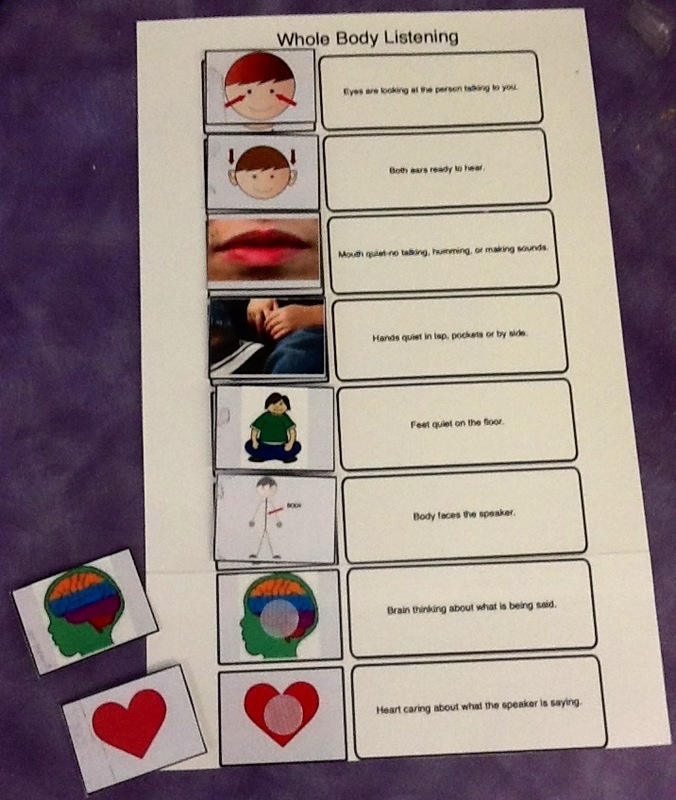 This was our second week on Thinking Thoughts and Feeling Feelings. Presenting the concept visually and making it interactive is the most effective way for my students. Next, we listened to 2 awesome songs from the music CD. Where You Think a Thought and Show Me What You are Feeling are such engaging songs. We couldn’t help ourselves but to get up and dance and sing! I use music in my whole class sessions for many reasons. I am going to share Dr. Jean Feldman’s Reasons to Sing Every Day! Go to her website: www.drjean.org for more information. When you sing your brain emits endorphins, and endorphins make you happy! Emotions are critical to learning. Music is multi-sensory. The more senses you get going to the brain, the more likely the message will get there. Music is powerful for prior-learning. If children are exposed to concepts while singing, it is easier for them to learn when formally introduced. Music nurtures phonemic awareness (alliteration, rhyme, etc.). Songs and chants are a natural way to develop oral language and auditory memory. 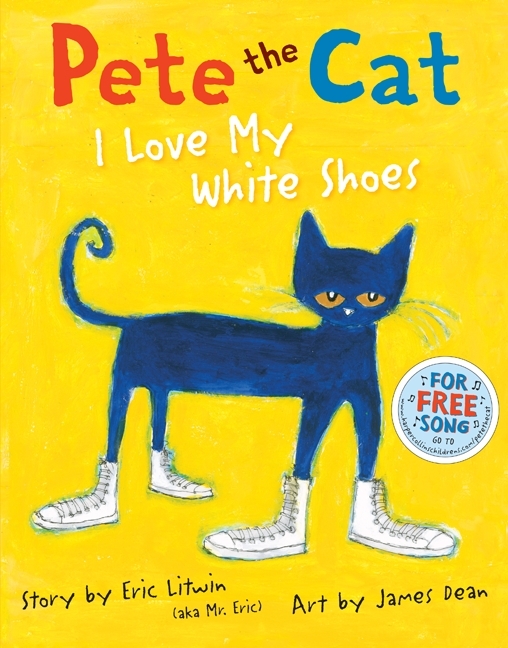 Poems and songs lay a foundation for fluency and enhance short term memory. Children are able to use their imaginations and create pictures in their brains when they sing. This is an important part of reading comprehension. Repetition is a key to learning. It is much more fun to repeat songs than a worksheet! Singing and dancing relieve stress and oxygenate the brain. Through music and movement ALL children can feel successful. A “community of learners” is enhanced when teachers and children enjoy something together. Then we read the book Thinking Thoughts and Feeling Feelings which is part of the Incredible Flexible You curriculum. Thoughts are in your brain and feelings in your heart. The characters in the book show the students how we have thoughts when we are alone and thoughts when we are around others. Our behavior affects the way others think and feel about us. Then I got to use my new favorite visual- the thought bubble. I tell the students that I think about so many things all the time. I show them that I am thinking of something blue. I ask the students to think with their eyes to look around them and try to guess what I am thinking of. The outcome from last week’s session: It is expected behavior to say “Hi” when someone says “Hi” to you. I have never before been greeted so sweetly. Mrs. Lindstrom’s kindergarteners have been saying “Hi” all week. I have had good thoughts and good feelings about those friendly students. It’s All in the Game. Really! The Fun Theory is based on the thought that something as simple as fun is the easiest way to change behavior for the better. I love that! A game of “Simon Says” is fun to play and develops Executive Function. A simple memory/concentration game can promote vocabulary, concentration/focus, concept of same/different, phonological processing of multi-syllabic words and memory. Any board game can be turned into a language and social learning time. Board games are rule bound and require various degrees of planning and flexibility. Therapy does not have to look like work. It’s all in the game. I try to make it so much fun that the students don’t even know they are learning! Amanda Morgon, creator of Not Just Cute, Intentional Whole Child Development, writes in her post Want to Give Your Kids an Advantage? Build Executive Functions that “Some go to tutors, buy complicated programs, or drill through flash cards, but one of the best predictors of success is one that can be regularly built through play”. Read more of Amanda’s posts at http://www.notjustcute.com. I follow http://therapyandlearningservices.com blog where Jennifer Hatfield gives excellent information. In her post-Games: A Great Way to Strengthen Executive Functioning Skills at ANY age, Jennifer writes, “When scientists and therapists try to relate the research to more “user friendly” ways to improve Executive Function skills, they continue to come back to one area: play”. Sign up for her EF newsletter to receive “Game Guides for Executive Function Development”. 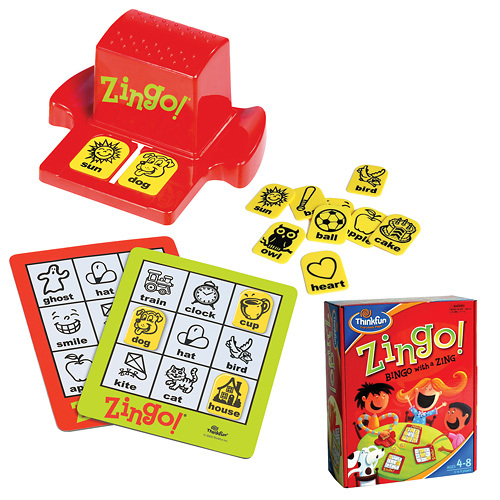 A game of Zingo! promotes vocabulary development, CVC word production, turn-taking, showing interest in others, “Who questions, and yes/no questions. 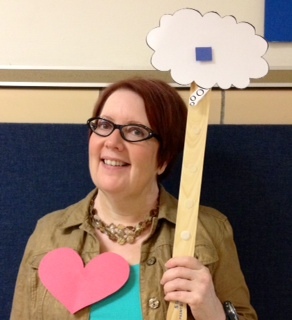 Visit http://www.thinkfun.com/smartplayblog/?p=1435 where SLP Kelly Rholes shares creative ways to use Zingo! to target a range of different learning needs. Hedbanz is a fun way to promote development of impulse control. 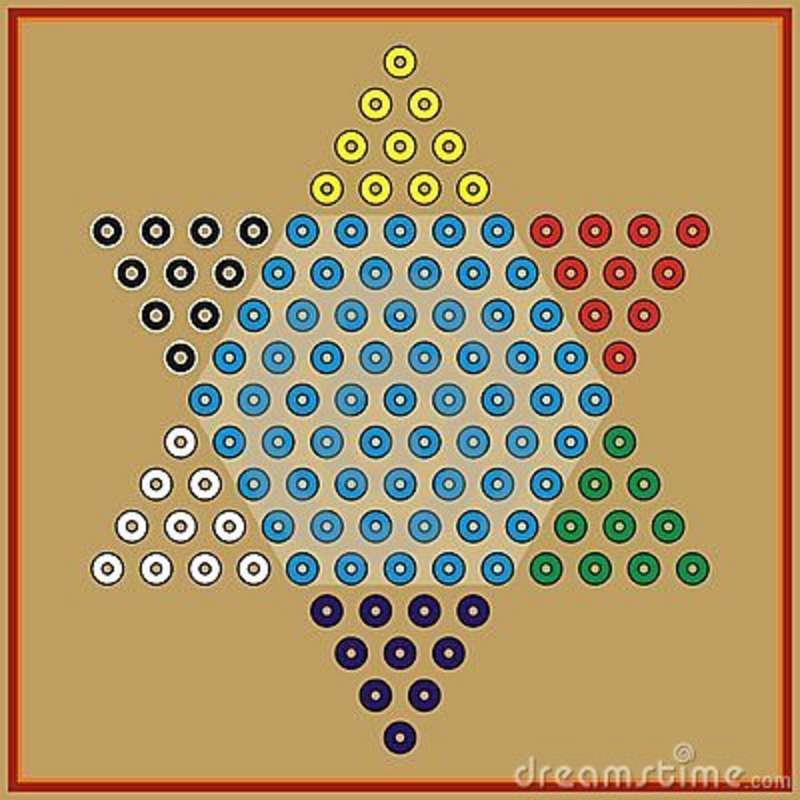 The players must keep a secret and not reveal the name of the picture until a player guesses. It is so hard not to blurt out! 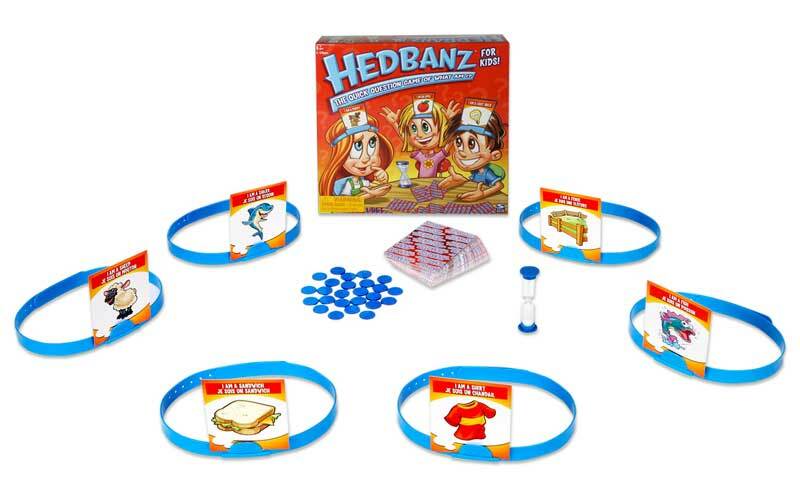 Hedbanz also helps development of conceptual skills such as categories/classification, could/would questions, is/are questions, academic vocabulary, and articulation skills. 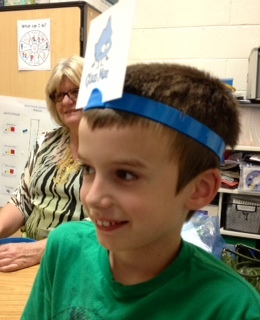 In our social skills groups we use the game to play “Unthinkables Hedbanz. 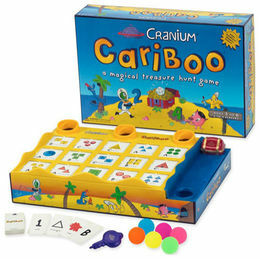 Cariboo promotes turn-taking, requesting, and conceptual skills. 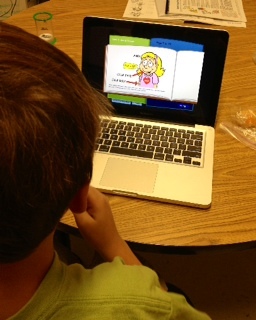 Personal pronouns can be targeted as well. 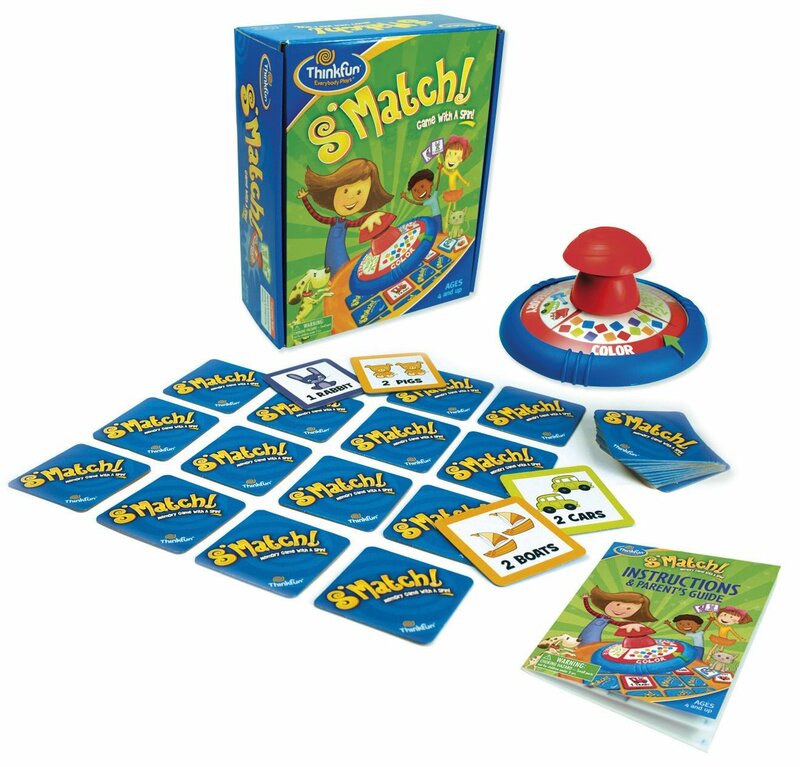 S’Match encourages turn-taking skills and development of conceptual skills, such as same/different, colors, and numbers. “Simon Says” seems easy enough, right? You have to focus and pay attention to detail. 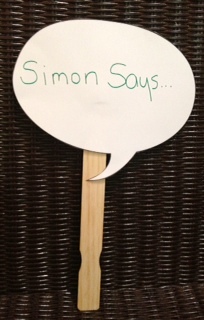 You have to listen for that key phrase, “Simon Says”. You have to self-regulate by responding only if you here “Simon Says”. 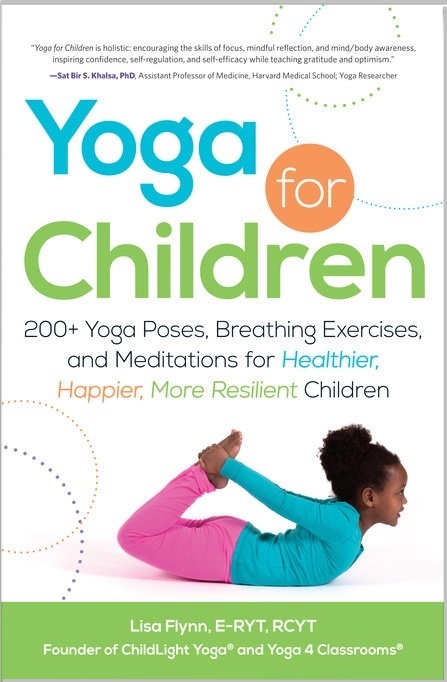 “Red Light Green Light” also addresses impulse control, self-regulation, sustained attention, and cognitive flexibility. 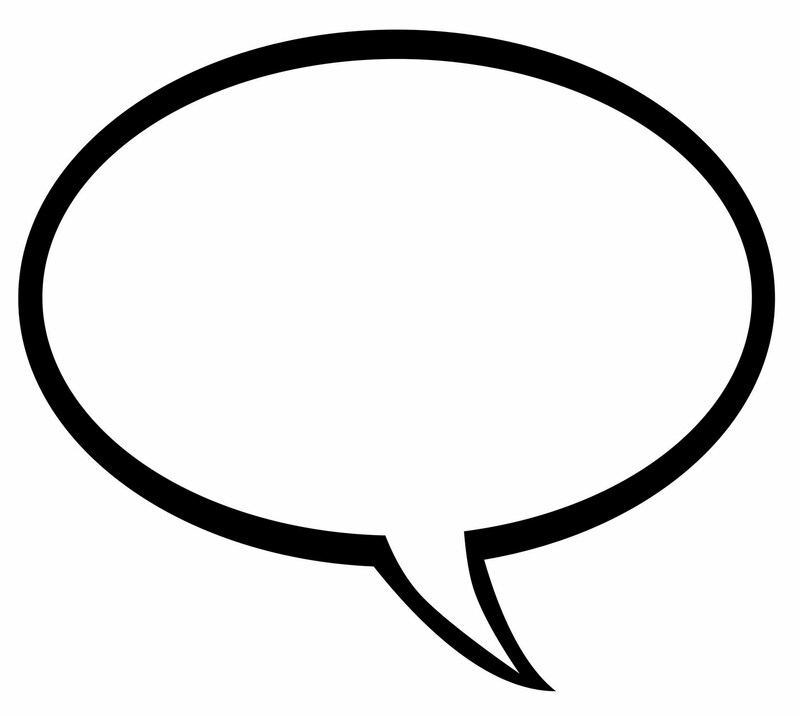 Speech bubbles and thought bubbles have become my new favorite visual support!! With Red Light Green Light you could tape red/green circles on a paint stir to use as visual supports while the students are learning. 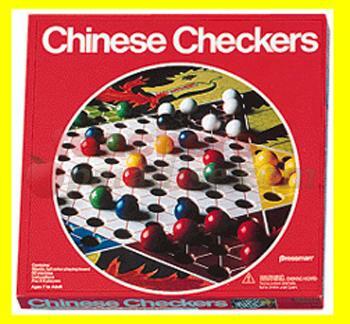 Playing Chinese Checkers promotes sustained attention, planning, emotional regulation and working memory. 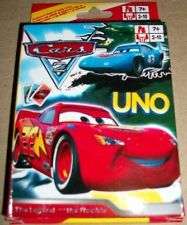 Cars Uno is a Lunch Buddies favorite. Uno requires cognitive flexibility, emotional regulation, sustained attention, planning and impulse control. It also helps to develop showing interest in others and sportsmanship. It is helpful if the adults in the game do some cognitive modeling and self-talk about how they plan their next move or how the moves they make will help them to get rid of more cards so they might win. 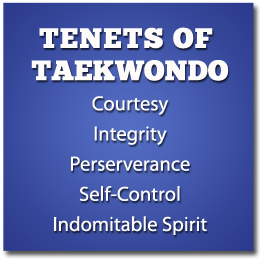 One last thing- Tae-Kwon-Do and mindfulness training are certainly not games, but they can be fun. Traditional martial arts emphasizes self-control, respect, responsibility, and focus. 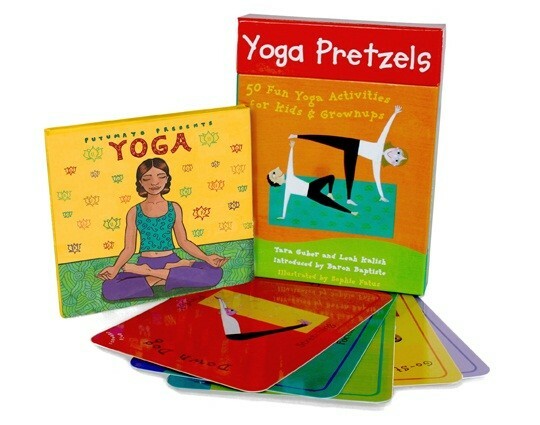 Yoga and Mindfulness training that promotes sensory awareness, attention regulation and awareness of others supports development of executive function. Hope this wasn’t too much! Enjoy this lovely first day of fall, everyone. Yoga was fun today! Mrs. Rairden taught us all some new poses. The best part was that the poses were all part of a story she told. 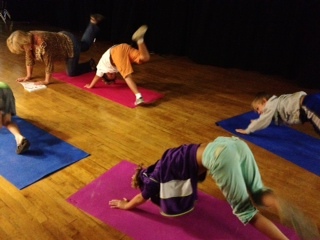 There was more to the story and as you can see the students loved acting it out through the yoga poses. They asked to repeat it today and the story continues next time. 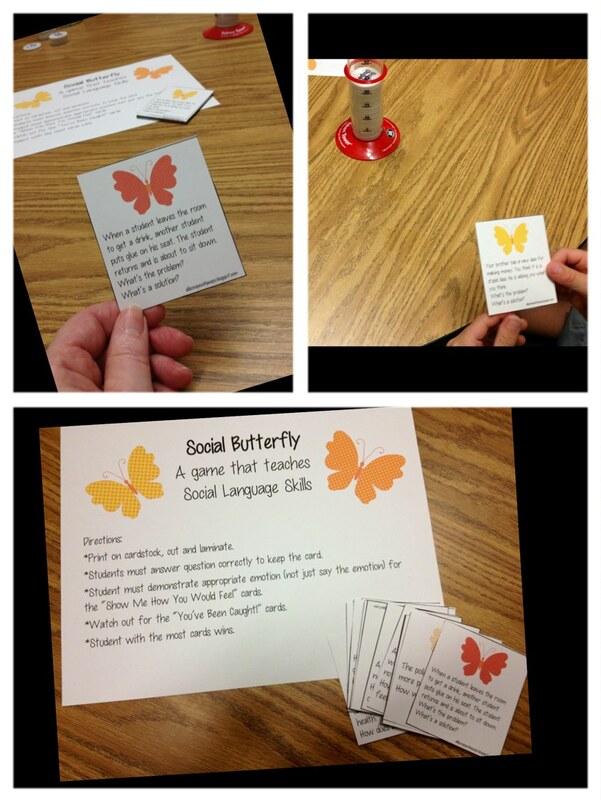 In the social skills group we were Social Butterflies. This game presents different social scenarios or problems for the students to consider. They identified the problem and decided on a solution. 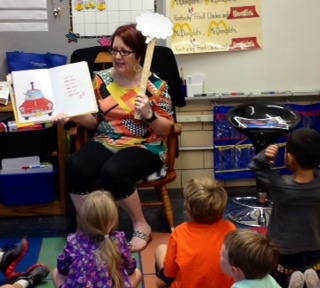 I stepped out of the speech room and into a kindergarten classroom. See my thought bubble that I am holding above my head? It is a great visual clue to show that I am having a thought about something. 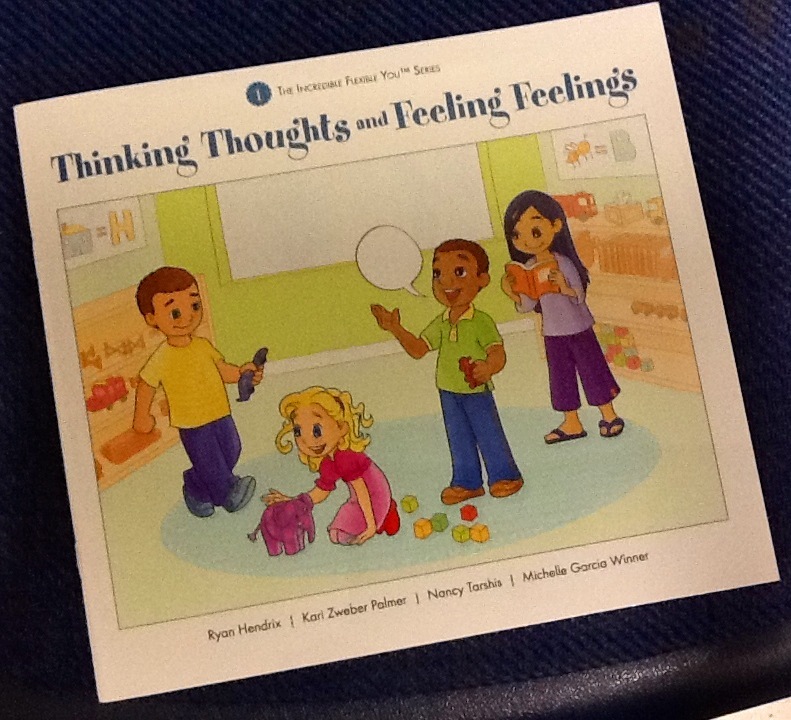 Our lesson today focused on thinking thoughts and feeling feelings from the Incredible Flexible You curriculum available at http://www.socialthinking.com. My lesson dovetailed right into their curriculum. 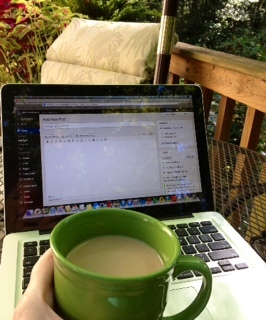 I sure do enjoy Sunday mornings on the deck. Today the weather is perfect for sitting out here meditating and having a cup of coffee or two or three. This is a good time for planning- my week, month and year. There is so much to think about with the new business-Autastic Avenues. I started working with our very first client last week. There are many changes to deal with in this adventure, too. Some changes are expected and easier to handle. Some changes are unexpected and turn out to be better than okay. Some changes are unexpected and difficult. As I deal with my own change I try to understand and help my students deal with the daily changes in their school day. I can always count on Jill Kuzma at http://jillkuzma.wordpress.com, to have the perfect visual to support the social concepts with which my students are struggling. 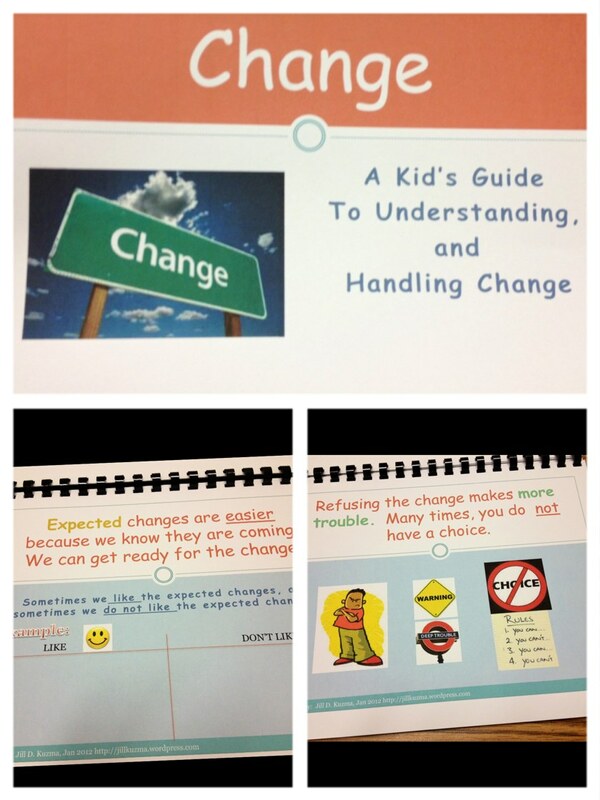 I have printed and bound A Kid’s Guide to Understanding, and Handling Change several times already this school year and passed it on to parents and teachers. It is not enough to read and discuss how to deal with change once a week. Change happens all the time. All children have to be taught coping skills but kids with ASD, ADHD, and social thinking deficits need a more intensive, specialized course of instruction than others in order for them to learn to cope with change. I think that the most important coping strategy that we can teach is flexible thinking. We all have to deal with unexpected changes in life. Check out http://www.education.com/magazine/article/flexibility_autism/ In her column, Temple Grandin advocates teaching flexibility to help children with ASD learn to accept change. Along with A Kid’s Guide to Understanding, and Handling Change, our group enjoyed Social Aliens. 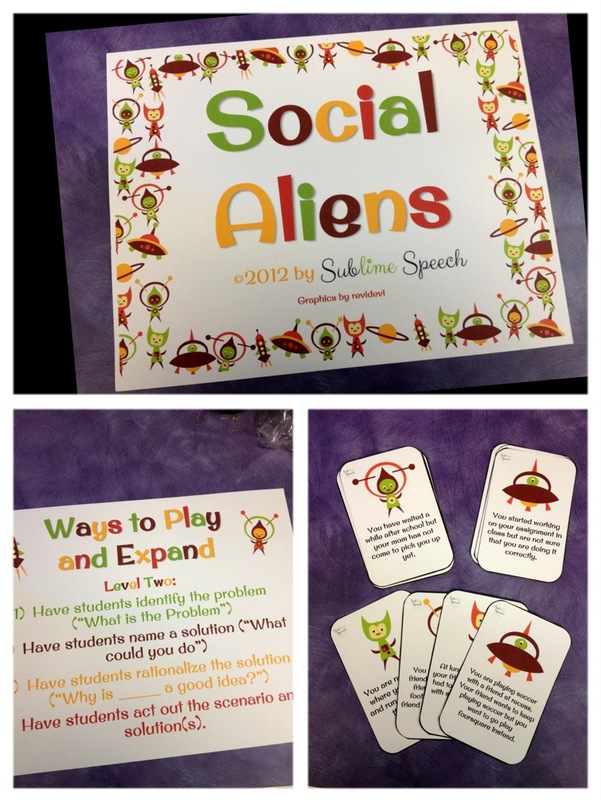 Social Aliens is a social skills game created by Danielle Reed at http://sublimespeech.blogspot.com/ and available for purchase on http://www.teacherspayteachers.com. The Aliens must deal with the social changes confronting them on a new planet. Our students helped by thinking of coping strategies for each problem. Great activity. 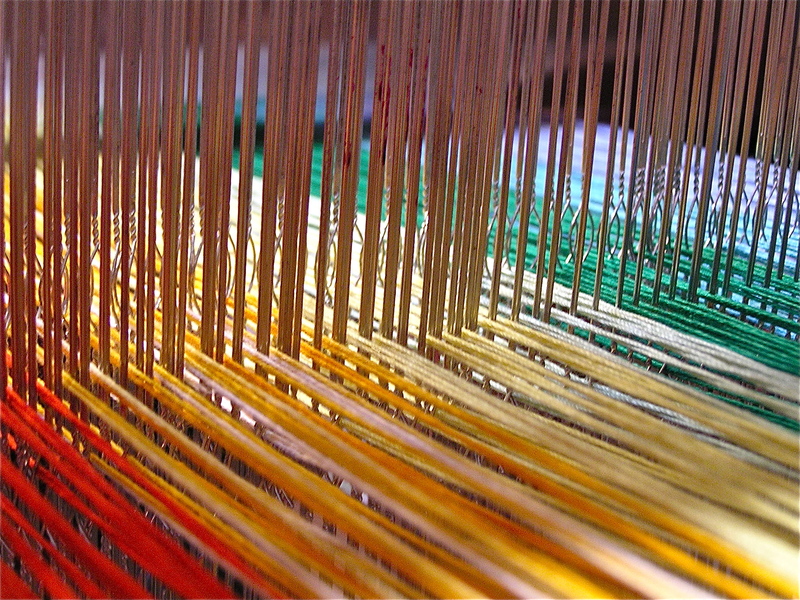 Weaving Social Thinking® vocabulary throughout our lessons and beyond the therapy room. The teachers who work with my students have shown interest in doing whatever they can to integrate the concepts of Social Thinking® into the classroom and throughout the school day. I am very excited about that because I believe that consistency is the key to progress. I am sharing the social thinking vocabulary with the teachers and support staff. I even use the vocabulary in social conversations around school. 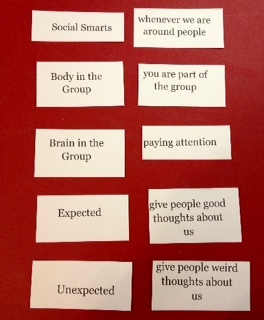 Go to http://www.socialthinking.com for more information about social thinking vocabulary. 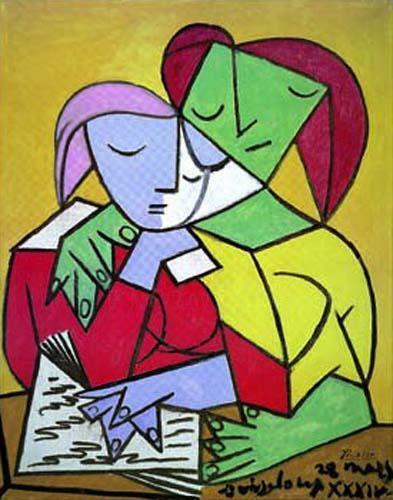 The social thinking concept for today was Thinking About You/Just Me. This means that we work hard to recognize that our behavior affects the people around us, and we try to change how we act in such a way as to keep others thinking about us the way we want them to. 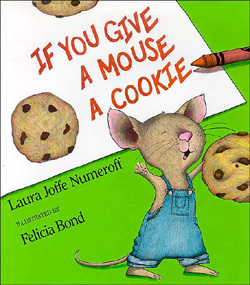 In the book the mouse is very demanding. He seems to be unaware of the effect his behavior has on the boy’s emotional state. As the students read along and listened to the story, I used words such as feelings, intentions, unexpected, weird thought, and wondering, just to model my own thinking process. The students are more comfortable making comments than asking questions. I wrote down some questions as examples for the students to practice. Braxton asked “What zone is the boy in?”. We determined that he was in the blue zone. He was very tired from trying to please that demanding mouse. Was it the mouse’s intent to make a mess or to help? 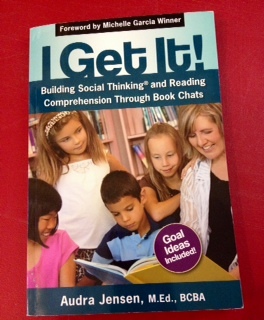 Book Chat is a great platform for building social thinking skills that support reading comprehension. 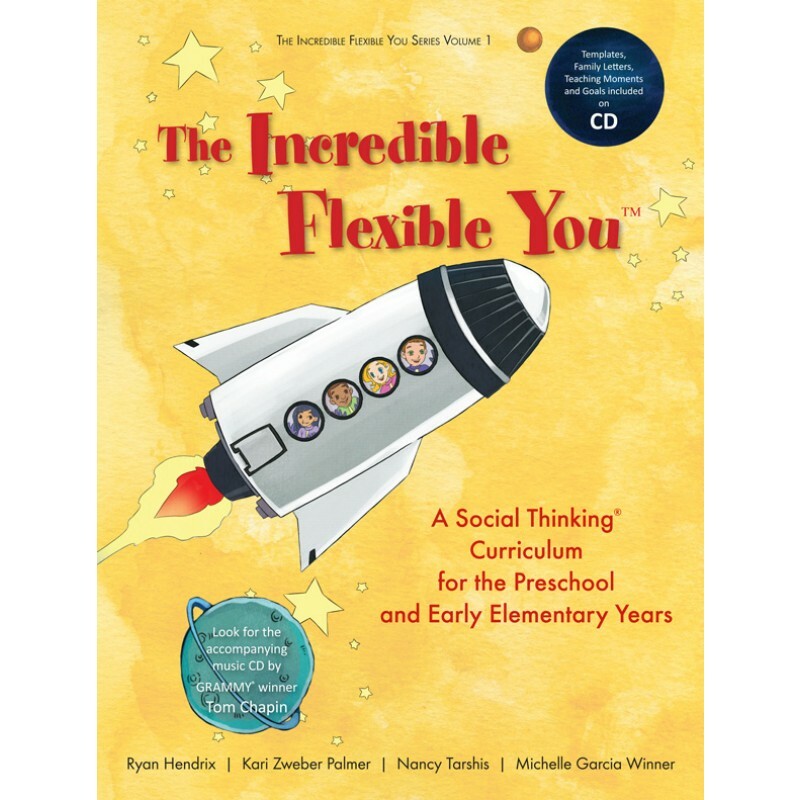 The Incredible Flexible You is another social thinking publication. Go to http://www.socialthinking.com for more information. I will be adapting the lessons to work with this particular group of K students. The first lesson will include expected/unexpected behaviors. When we see a friend or teacher in the hall, auditorium, or community and they say “Hi”, it is the expected behavior to say “Hello” or “Hi” back to them. We will also talk about being flexible when something unexpected happens. Is there any cat more flexible than Pete? When Pete steps in strawberries, blueberries, and mud while wearing his white shoes he does not whine or cry. He just keeps walking along and singing his song. We are camping on the concept of tattling. It is an ongoing issue for many of the lunch buddies. I was reading a post on Kristi Root’s blog, http://readingissodelicious.com. She writes,”Tattling can take away from teaching time, cause conflict and discomfort, and can socially disable students. When a student’s perception of right and wrong combines with their need for attention and “duty to inform”, tattling is often the result”. Very well put. Tattling can socially disable students! 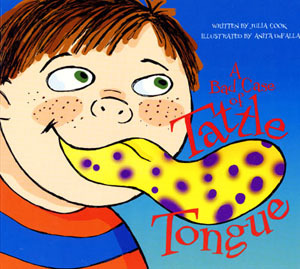 Today, in one of the 2nd grade groups we read A Bad Case of Tattle Tongue by Julia Cook. The students really liked the story. Josh the Tattler does not have any friends because he tattles on his classmates, his brother, and even his dog. He wakes up one day with a bad case of tattle tongue. Josh eventually learns “The Tattle Rules” and things start to turn around for him. The students were given scenarios to apply The Tattle Rules. M.Y.O.B (mind your own business) is so hard!! The “Be a Danger Ranger” is a favorite of the boys. 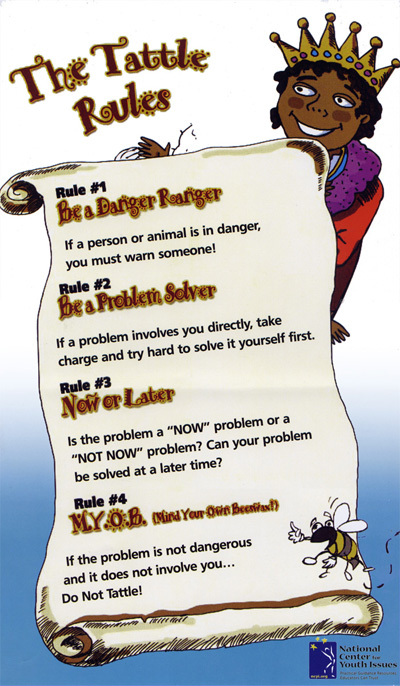 The hardest part is remembering that if the problem is not dangerous and it does not apply to you…DO NOT TATTLE! 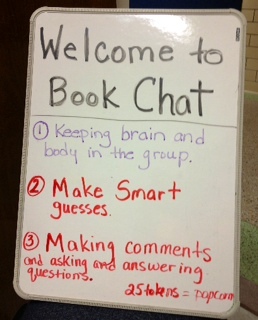 I was proud of the new 3rd graders and their participation in Book Chat. They adjusted very nicely to the new experience. First, the expected behaviors for Book Chat were presented. We used the white board and Token Towers® to provide visual structure to our group. The students can refer to the board for a visual reminder of what they need to do and refer to their token tower to see how they are doing. The students learn this same vocabulary during Lunch Buddies, so for the most part the activity was a review. We did add a couple of new terms though. Smart guesses vs Wacky guesses and Good thoughts vs Uncomfortable thoughts were new to the group. We use our experiences and knowledge to make smart guesses. Smart guesses make sense. A Wacky guess is just a random guess that does not help us gather and use important information. Louis likes to think of himself as a “space expert”. 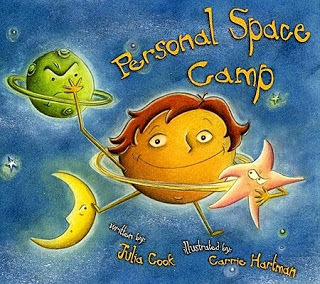 When he gets an invitation to go to “Personal Space Camp” he thinks that he will learn even more about space. Allowing time for processing and engagement. There is no rush and nothing wrong with a little silence. I love this idea from I Get It! by Audra Jensen. She says “present a thought and let the students chew on it”! An unnatural, long pause can also cause a daydreaming student to snap back to reality. 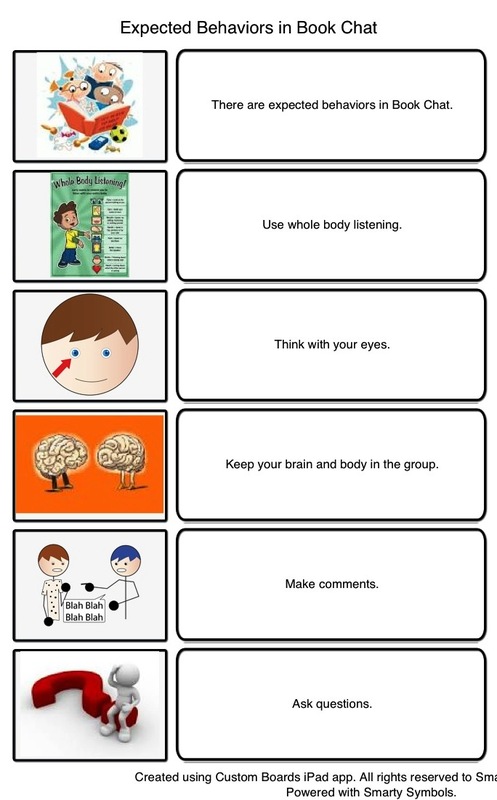 Think-alouds. As I read through the book I stopped often to share my thoughts about what was going on. I used the words “I wonder…” and as Miss Heather listened she used the words “I’m confused…” and then we modeled how we would figure it out. Emotional thermometers. 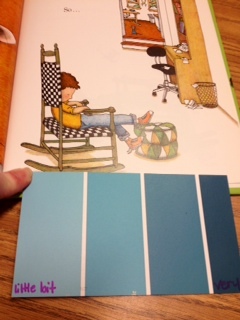 We identified how Louis was feeling and used color to show the intensity of his excitement. 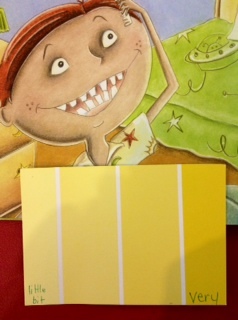 We decided that Louis was in the “yellow zone” which means that he was feeling excited. 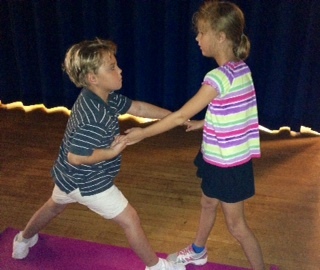 The visual cue helped the students “see” the intensity of the feeling. We matched that with the look on Louis’ face. I was one proud therapist when the first grade “girl group” came in for Lunch Buddies!! They remembered the expected behaviors for social group and the returning girls did a great job of modeling for our new group member. 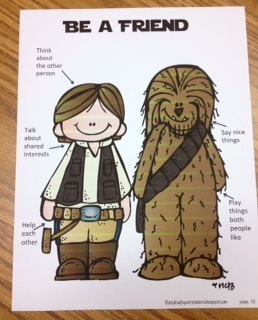 These girls identify with Disney Princesses so I used Princess Social Skills created by http://ifonlyihadsuperpowers.com and available at http://www.teacherspayteachers.com. The concept for the session was “thinking about others”. 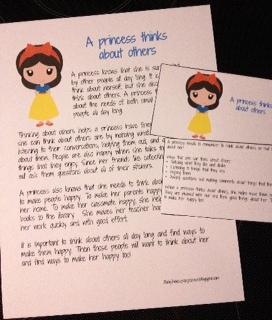 We reviewed the social story describing how a princess thinks about others. They received the power card to take with them back to class/home to assist in generalizing the concept. Snow White is such a lovely model for thinking about others! While we ate our lunch the group enjoyed Social Skill Builder® interactive videos for expected and unexpected behaviors with friends on the playground. One must think about others to make and keep friends on the playground. What a happy day! It was great getting back together with more of the lunch buddies groups. 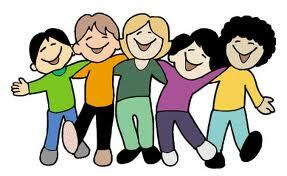 Did I mention that there are nine social skills groups that meet each week? As the new year begins, I must look at where we have been and where we want to go. The students need to stretch their flexible brains and learn new concepts related to social thinking skills. One such concept is being a Social Detective. 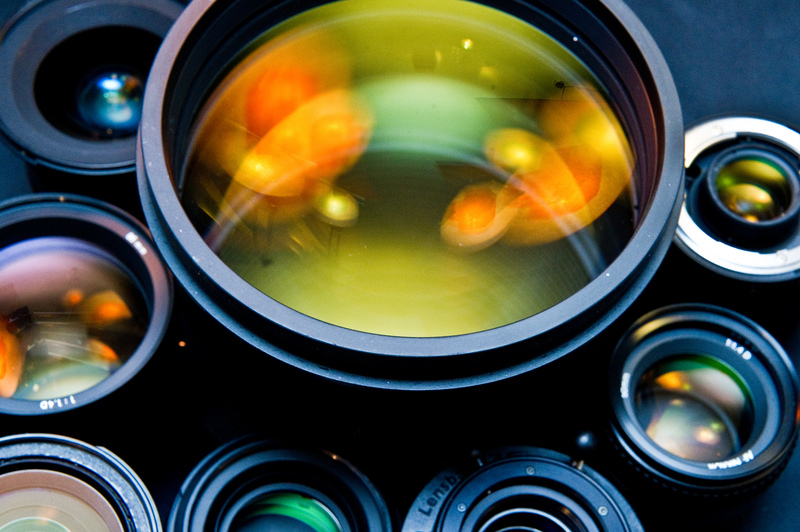 A Social Detective uses his/her eyes, ears, and brain to make smart social guesses and investigates clues to see how others’ emotions and responses are connected to their own behavior. 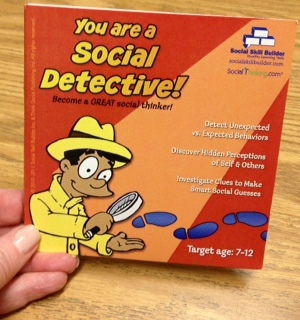 You are a Social Detective is an interactive CD that teaches students to understand others’ expected and unexpected behaviors, make smart guesses, understand others’ comfortable and uncomfortable thoughts, and use social behavior mapping. You are a Social Detective is a Social Skill Builder product developed in collaboration with Michelle Garcia Winner and Pamela Crooke , and based on their book You are a Social Detective. Go to http://www.socialskillbuilder.com or http://www.socialthinking.com for more information. It got the lunch buddies seal of approval! The third grade group that met today needed to review the Unthinkables that we learned about last year. 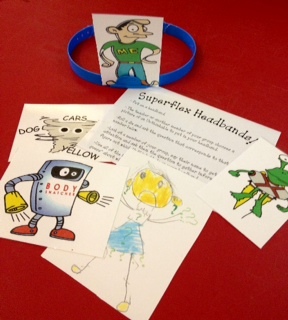 The team of Unthinkables are part of the Superflex : A Superhero Social Thinking Curriculum created by Stephanie Madrigal and Michelle Garcia Winner. Go to http://www.socialthinking.com for more information. The Unthinkables try to use their powers over our brains to get us to over-react or not be a flexible thinker. There are strategies to defeat the Unthinkables, we just need to practice them. Hedbanz has always been a favorite game in lunch buddies. When I found the idea for Unthinkables Hedbanz at http://acardenas.weebly.com, I was so excited to try it. I printed out pictures of the Unthinkables and laminated them. I also printed out sample questions on a cue card. We all had a blast. Just as I thought…they needed to review. “What is the strategy for defeating this Unthinkable?”, asked Ian. Tomorrow, Mrs. Neer and I start our co-teaching experience. Can’t wait.